Swing like royalty with the CF Zen Black. Reign supreme with this black and gold barreled stick, a color scheme fit for a king. 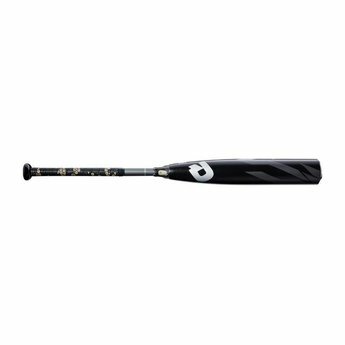 Certified for and made to meet all USSSA standards, the CF Zen Black (-10) features a brand-new Paraflex+ Composite material construction. This material is exposed to the perfect temperature for the perfect amount of time, giving you a barrel that is consistently responsive as you drive balls out of the park. An X-Lite Knob that’s ergonomically designed to fit players’ hands and a patented 3Fusion System give you improved weight control and an optimized feel from top to bottom – especially in the sweet spot.